There are perhaps a half-million people scattered throughout America who have ancestral ties to Thurber. This is the “Thurber Diaspora.” When Thurber was shutting down from 1921 to 1933, about 3,500 people had to relocate. The majority of Thurber’s coal miners moved to the Illinois coal fields or other jobs in northern cities. Others went to potash mines in New Mexico. Some went to California where there were a viriety of job opportunities. Many chose to remain in nearby Thurber Junction (Mingus) because they owned homes or they might have been involved in bootlegging. Those connected with Thurber’s oil operations moved to Fort Worth offices or to other T P Oil Co. locations in Texas. Shutting down Thurber meant the foreign-born miners would be starting over again. But this they did with the same determination which brought them to America. With the exception of my book “The Back Road To Thurber”, the literature has been virtually void on the immigrants’ contributions to Thurber’s development. Indeed, without this predominant, industrious Eastern European work force (85% of the coal miners), Thurber might not have succeeded. By looking at some of the individual sacrifices and efforts of the early Italian and Polish Thurber immigrants we attempt to set the record straight. 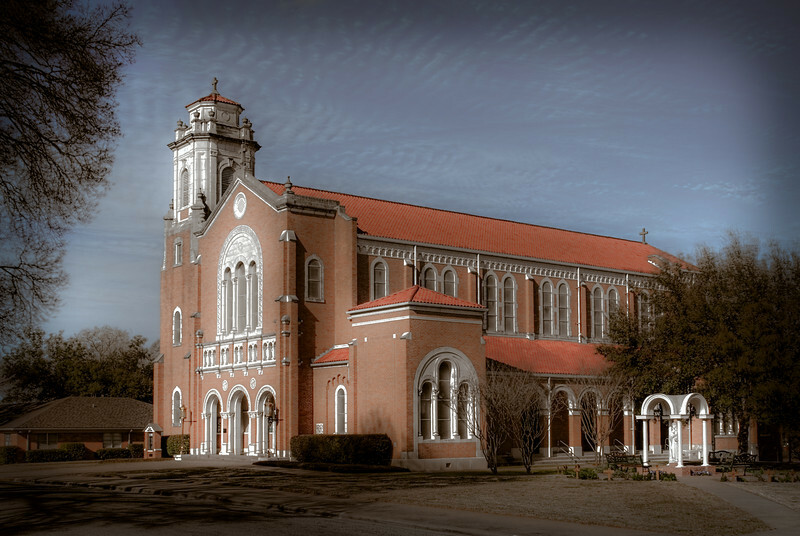 Established on November 19, 1870 the second Roman Catholic parish in Washington County, Texas, St. Mary's in Brenham, has evolved over the last century and a quarter into a congregation of over 1,000 families. A projected growth of an additional 500 families is expected by the turn of the century. 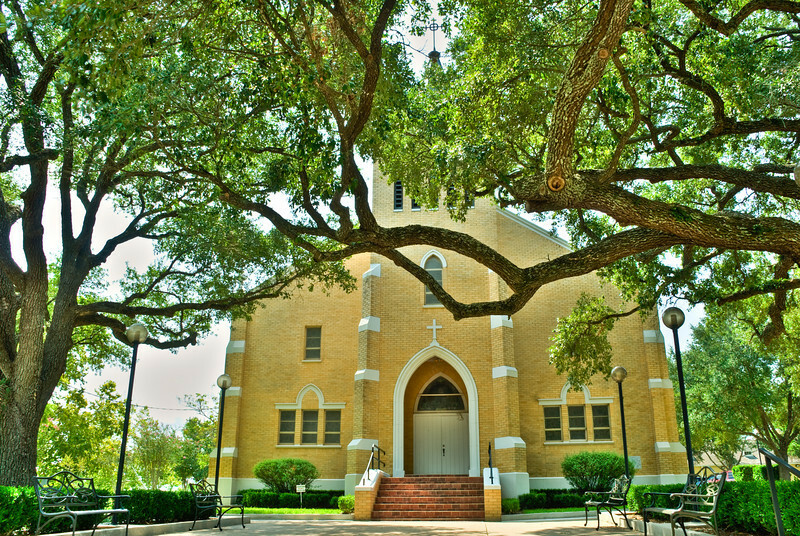 The parish was founded and supported by Irish, German and Polish Families who were engaged in a variety of business in the early days of Brenham's history. By the early 1870s, a number of farmers, themselves Polish immigrants, began settling in the vicinity of Brenham and began attending St. Mary's. Swierkowych lasow i hal i tych potokow srebrzystych. Goralu, czy nie zal…Goralu, wracaj do hal. dla chleba, panie, dla chleba, i gor porzucic trzeba. Mountaineer, aren't you sad to leave your homeland; its spruce forest, mountain pastures and silver brooks? Mountaineer gazes at the mountains and wipes the tears away with his sleeve; knowing that for "bread" (livelihood) he must leave his mountains. This time line lists some of the important events in Polish, Texan and American history that had an influence on the Polish Texans. This timeline can also be viewed as it relates to a specific person or persons in our genealogy database by clicking on the timeline button on the persons main page. An example of this can be seen here. Genealogists who research Catholic Poles soon realize the importance of sacramental records of the Catholic church. Often they are the only records which exist on our ancestors, Generally speaking, the early church records are more reliable than civil records. For those with ties to Bremond, St. Mary Catholic church is of prime importance. 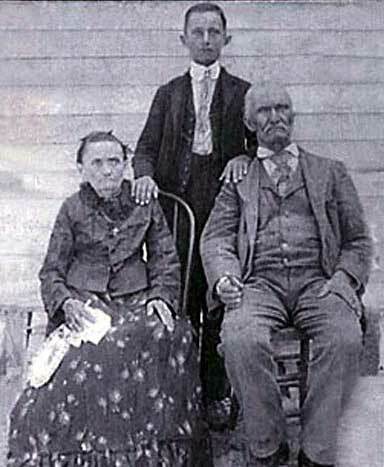 In 1875 Jozef Bartula and his family as well as Frank Bainski came to Bremond to work as tenant farmers for John C. Roberts. There was no Catholic church. However, a priest was coming from the church of St. Mary of the Assumption, Waco TX to minister to the Catholics in Bremond. Jozef tells us that Father Biusant (?) came four times a year for services which were held in the home of John and Mary Louisa Roberts. When the present St. Stanislaus Church, Anderson, was completed in 1917. it became the first brick Catholic edifice in Grimes County. On August 6, 1918, Monsignor James M. Kirwin, vicar general and administrator of the Diocese of Galveston dedicated the present church. At the time of the dedication of St. Stanislaus Church, the parish family included 168 families of Polish descent and one family of German descent. Today, the parish family totals 268 families. Such was not the case, however, in 1871, when a few Polish families migrated from (German) Poland to Anderson in southeast Grimes County, 82 miles northwest of Houston and 16 miles southeast of Plantersville. Records are not available to confirm how many families were in this migratory event; however, as tradition goes there were supposedly about 30 families. The first Polish immigrants to Grimes County were very poor, and the greatest disadvantage was their lack of any knowledge of the English language and being scattered over Grimes County. The second pastor was Father Weisnerowski who resided in Stoneham. For a short time Father Gleissner of Bryan was appointed to attend the needs of both St. Mary’s and St. Joseph’s Churches. About the year 1920, St. Joseph’s Chruch became a mission under the guidance of St. Stanislaus Church of Anderson. The other pastors to succceed were Father T. W. Kappe, Father Francis Klass, and Father T. Wendland. During the pastorage of Father Wendlend, St. Joseph’s was transferred to the care of St. Mary’s Church of Plantersville. Father Leroy Braden became pastor in 1967. During his administration the interior of St. Joseph Church was completely renovated. The priests to follow were all from St. Mary’s Church of Plantersville and have administered to the needs of the community of St. Joseph’s Church.